The Nona Lani Cottages is the perfect intimate venue for couples seeking casual, Hawaiian elegance. If you are planning a destination wedding, and prefer the convenience of comfortable accommodations and gorgeous venues all on one property, look no further. Our garden-setting venues can accommodate up to 75 guests. 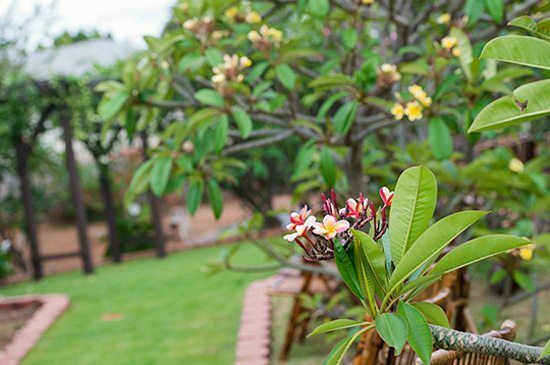 Ceremony: Exchange vows in the Pua Melia Plumeria Gardens, among fragrant pink, orange, and yellow plumeria flowers. Reception: Enjoy a casual cocktail hour, dinner, and dancing under the stars in the Makahiki Event Hale. Before the sun goes down, capture romantic sunset photos on Kong beach across the street from the property. 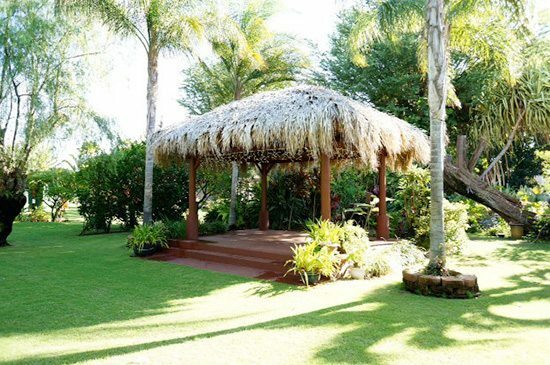 The natural beauty of the grounds is the perfect canvas for your memorable Hawaiian wedding. And for a completely stress-free experience, we have an experienced Coordinator on-site to assist with planning every detail of your Hawaiian wedding. 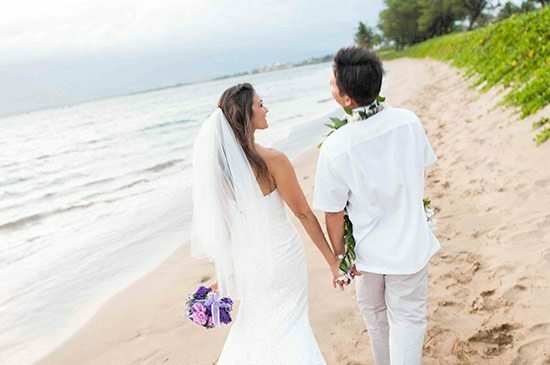 Planning: Weddings and Events at Nona Lani Cottages are managed by the owner and family members. There is a grounds usage Site Fee (see below) to utilize the event venue spaces. For Daytime and Evening Events, all eight cottages must be rented for the minimum stay. There is a separate charge for the Wedding Coordinator’s services. -Personnel on site during event to provide: event signage, clean and refreshed bathroom facilities, and manage trash receptacles.